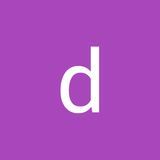 Get friday based in bangalore, india, get friday aims to provide busy professionals a chance at offloading their work to an expert. Their virtual assistants are trained in various tasks whilst offering them at a remunerative cost. They aim to serve c-level executives/ professionals, startups, entrepreneurs and small businesses globally. Belay as one of the top 5 in virtual assistance services, belay is one of the pioneers in this industry. They strive to offer nothing but high quality services provided by the hands of industrial specialists. Belay also boasts that their acceptance rate is a lot higher than harvard, thus ensuring polished services. Additionally, they also provide relationship mangers to every client that hires a virtual assistant through their portal. This serves as a communication channel between the VA and them. Prialto prialto aims at providing virtual assistance to executives that are in dire need of an additional pair of hands. They inculcate a team based approach in offering businesses with project managerial assistance, back-up assistance, primary assistance and more. OSSISTO OSSISTO IS A VIRTUAL ASSISTANCE COMPANY HEADQUARTERED AT NEW JERSEY, USA. WITH SERVICE CENTERS IN INDIA, U.K AND AUSTRALIA, OSSISTO IS A VERSATILE VIRTUAL ASSISTANCE SERVICE PROVIDER THAT CATERS TO BUSINESS AND ENTREPRENEURS FROM ALL WALKS OF LIFE. THEIR CORE STRENGTH INCLUDES â&#x20AC;&#x201C; BUSINESS SUPPORT, IMS, IT DEVELOPMENT, DIGITAL MARKETING, CONTENT WRITING, GRAPHIC DESIGN AND MORE. 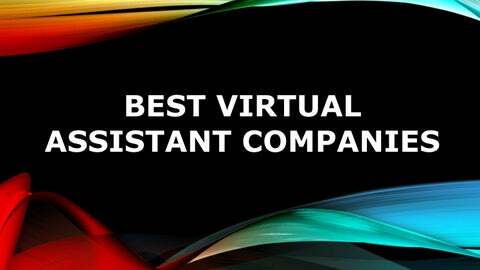 Elite virtual assistants elite is an american virtual assistance company that specifically targets time management. Their vision is to aid clients in any way they require to give them maximum assistance whilst saving ample time to be used productively elsewhere. Avirtual avirtual hires fully trained employees that have had prior experience in a specific industrial sector. Their expertise in the virtual assistance realm has gotten them features in globally acclaimed publications. In addition to this, they offer first time customers a chance at sampling their services through a 5 hour free trial without a credit card or sign up requirement. Outsource workers if you are looking at real estate virtual assistants specifically, these are your people. Australia based outsource workers specializes in real estate assistance through a bespoke hiring and recruiting process. They allow clients to interview their own virtual assistance to propagate transparency within the system. PRIORITY VA ESTABLISHED TO SOLELY HELP ENTREPRENEURS BUILD ROBUST AND RELIABLE TEAMS, PRIORITY VA TRAINS THEIR VIRTUAL ASSISTANCE TO HAVE A GROWTH MENTALITY THAT CAN HELP THEIR CLIENTâ&#x20AC;&#x2122;S BUSINESS EXPANSION. THEY OFFER A 90 DAY YEAR PROGRAM TO HELP THEIR CLIENTS GET A BETTER SENSE OF WHAT THEY HAVE TO OFFER AND MAKE GOOD USE OF IT. Bizee small, dedicated and diligent. These are the words that bizee lives by. Based in the UK, they offer virtual assistance services to startups and entrepreneurs across europe. Their assistants are extremely skilled in various services that include â&#x20AC;&#x201C; content writing, SEO services, marketing, customer support and more. With these many options at hand, one can have the tendency to be overwhelmed. To avoid this, it is recommended that you decide on a specific budget and make a list of tasks that you would want to delegate to your virtual assistant to streamline the process further.